The Joye 510 Automatic batteries Starter kit gives you 2 batteries and 2 atomizers in order to give you 2 complete electronic cigarettes. While one battery is charging, you can be using the second battery to smoke with. 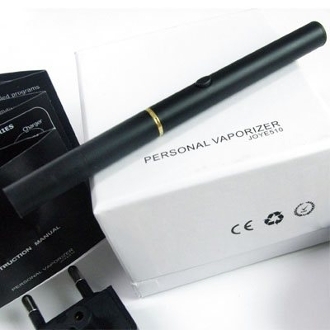 The automatic option for the battery allows you to just smoke without having to push a button down to operate the battery. It is just like smoking a regular cigarette. Automatic batteries are available in 8 colors for you to choose from: Black, White, Gold, Silver, Pink, Metallic Red, Metallic Green and Metallic Blue.